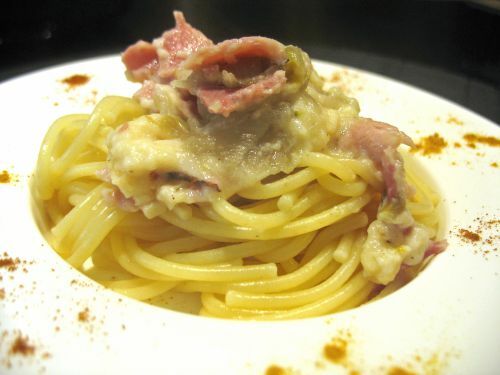 On the day before, you cooked the Belgian dish known as "chicory au gratin". You end up with leftovers but that's not a problem. You can now reheat it and put it on pasta. It works incredibly well. Now to make "chicory au gratin" ? Variation : works also with leek or celery. Vegeterian ? Just remove the ham.